The fattest boy Jon Snow has ever seen, Samwell Tarly stood as heir to the proud Lord of Horn Hill. However, Samwell proved so embarassing—for his weight, his inability to withstand the sight of blood, his fear of pain and apparent cowardice, his love of books and dancing—that Lord Randyll forces him to renounce his inheritance and take the black of the Night’s Watch. 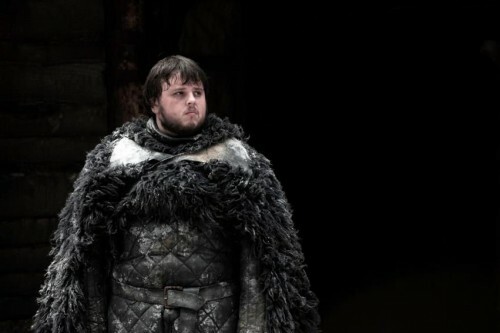 Samwell calls himself a craven, but despite this he finds friends among his fellow recruits. He is well-read and intelligent, but very shy and low in self-esteem. The actor cast in the role does not seem overweight as Samwell is described, and is 4-6 years older than the character.